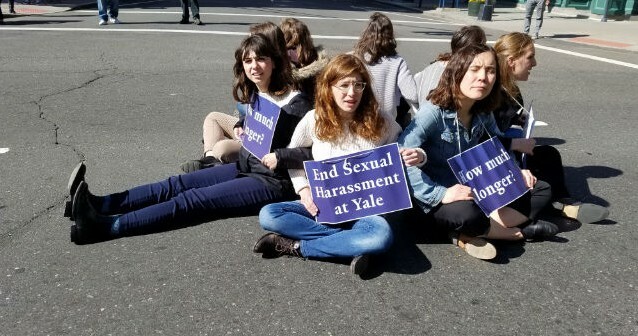 Yesterday morning twenty-three graduate teachers at Yale were arrested after shutting down the streets of New Haven to demand the administration address the pervasive sexual harassment they face as workers at the university. They called on Yale to begin negotiating a union contract that would strengthen protections against harassment of graduate teachers. Yesterday’s action was the latest step in a campaign to get Yale to comply with its legal obligations to graduate workers. In February, teachers in eight Yale departments voted to unionize, following the National Labor Relations Board’s (NLRB) decision in August to recognize graduate teachers as workers with the right to organize and unionize under federal law. The graduate workers’ union has made combating sexual harassment a central focus of its organizing efforts. 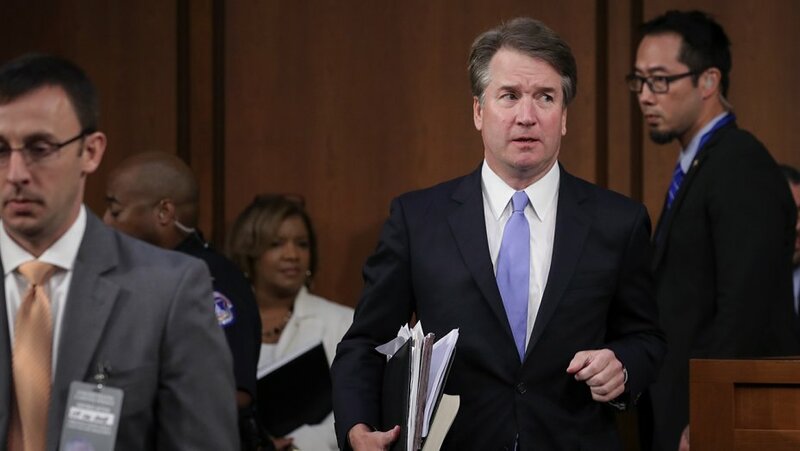 According to a study by the American Association of Universities, 54% of female graduate and professional students (who often double as teachers) at Yale report experiencing sexual harassment, a higher rate than average. Graduate workers at Yale want to fix that. As recent experience has shown, Yale protects faculty members who harass their subordinates. Graduate teachers believe a union grievance procedure would more effectively stop retaliation against those who file claims. Without these protections, graduate workers often have little recourse in the wake of harassment, especially when their harassers are faculty advisors whose recommendations play an outsized role in teachers’ professional success. An advisor refusing a letter of recommendation can destroy a graduate teacher’s chance of getting hired in an already tough market. As Yale remains intransigent, the union has stepped up its campaign to draw attention to the administration’s refusal to follow the law. Two weeks ago, members of the union began an indefinite hunger strike in front of President Salovey’s office to protest Yale’s refusal to bargain. Graduate teachers dropped a banner at the School of Management calling Yale “Trump University” to highlight how the administration’s strategy of delay depends on and colludes with Trump’s anti-labor agenda. The arrests yesterday morning were the next in a series of escalating actions in which graduate teachers have put their bodies on the line to fight for their rights as workers, including the right to be free from harassment and discrimination. As higher education becomes more corporatized, universities rely less on faculty with tenure protections and increasingly on the casual and easily exploited labor of graduate teachers. Like so many women workers within “feminized” contingent fields of labor, graduate teachers have insufficient protections against gender-based harassment and violence at work. In this context, the right to collective bargaining is a crucial means of improving these protections. Yale graduate workers in eight departments have voted for a union. If, as President Salovey claims, their “well-being is [his] foremost concern,” he should respect their democratically-expressed will, sit down, and negotiate. Only then can graduate teachers wield the power necessary to finally address sexual harassment at Yale. Header image via George Roelofsen. Will Bloom is a third-year at Yale Law School.